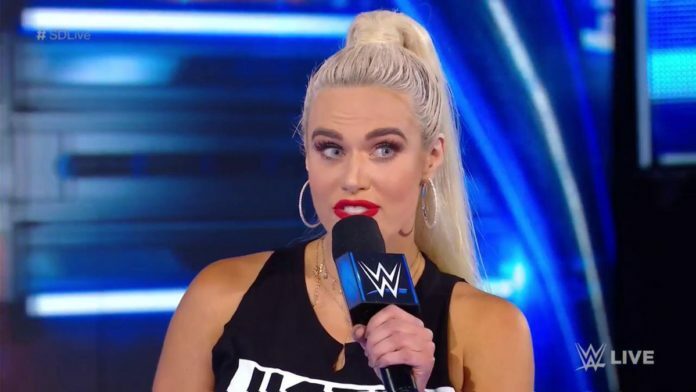 WWE Superstar Lana has been making some headlines recently. The on screen Russian star has recently stated that she is “salty” about Ronda Rousey, started a Twitter feud with Aleister Black and stated that she will be facing Asuka at WrestleMania. Earlier this week, Lana was in Los Angeles take part in two photoshoots. One of these shoots included taking a few shots in the middle of heavy traffic. Lana’s most recent IG Story showed “The Ravishing Russian” posing for the shots. You can check out the video via the tweet below. Quite hilariously Lana appears to smile at Beatriz’s camera after getting the shot. Maybe there’s a chance that Lana thought was a fan?